Manufacturer of a wide range of products which include mild steel casting for building construction. We deals with Mild Steel Casting for Building Construction that is manufactured utilizing high grade carbon steel, which makes it last for long period of time. 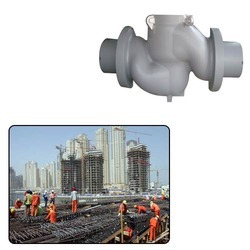 Our castings are used in various industry applications and are appreciated for high durability and corrosion resistance. Owing to their high end quality features, these have received wide appreciation in domestic arena. Looking for Mild Steel Casting for Building Construction ?